The Commandant of the Marine Corps commands the United States Marine Corps and is the senior officer of the United States Marine Corps. The Commandant is not necessarily the highest-ranking officer in the Marine Corps, but holding the position of Commandant makes him senior to all other officers regardless of rank. The Commandant is nominated by the President and must be confirmed by the Senate. The Commandant is a member of the Joint Chiefs of Staff, and reports to the Secretary of the Navy, but not to the Chief of Naval Operations. The Commandant is responsible for keeping the Marine Corps in fighting condition and does not serve as a direct battlefield commander.However, he is the symbolic and functional head of the Corps, and holds a position of very high esteem among Marines. As of September 24, 2015, the 37th Commandant of the Marine Corps is Commandant General Robert Neller, preceded by 36th Commandant, General Joseph Dunford. The Sergeant Major of the Marine Corps is selected by the Commandant of the Marine Corps and serves as the senior enlisted advisor to the Commandant. The Sergeant Major of the Marine Corps is revered as the most outstanding, unparalleled enlisted Marine. 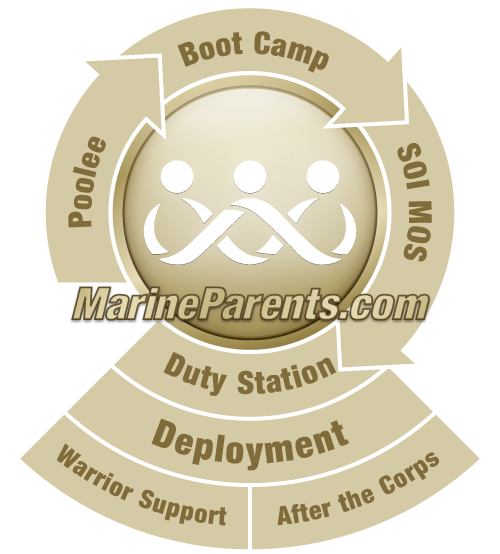 The position of Sergeant Major of the Marine Corps was established in 1957 and was the first position of its kind in any of the branches of the United States armed forces. The distinctive rank insignia of the Sergeant Major of the Marine Corps, shown here, features the Eagle, Globe and Anchor flanked by two stars. 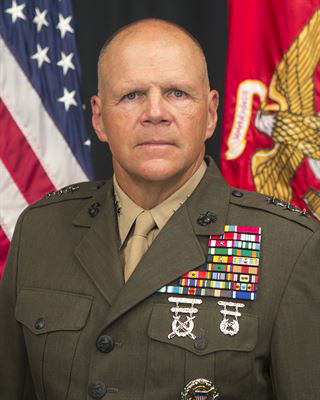 As of February 2015, the Sergeant Major of the Marine Corps is Sgt Maj Ronald L. Green. He is the 18th Sergeant Major of the Marine Corps, preceded by 17th Sergeant Major of the Marine Corps, Sgt Maj Micheal P Barrett.